What is a Nail Polish Pen? Nail polish pens can be used on the toenails as well as the fingernails. 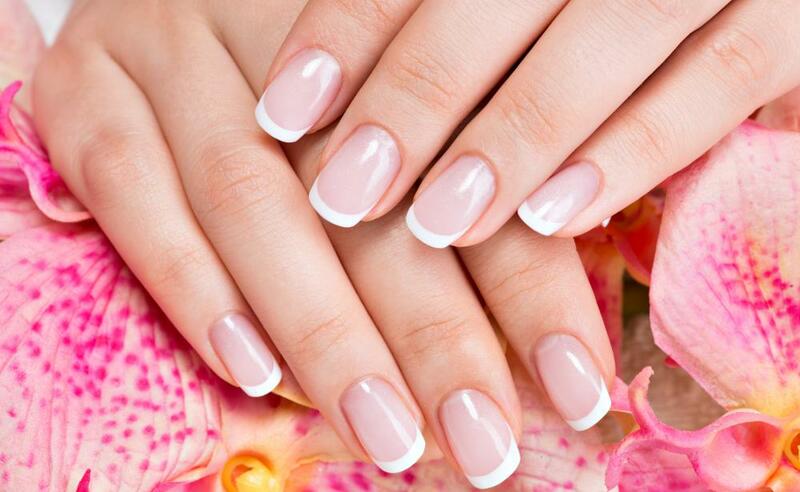 Specialty nail polish pens can be used to touch up a French manicure. Nail polish pens are most frequently available in common shades like pink and red. A nail polish pen, also called a nail polish corrector pen, is a convenient tool to have in your arsenal of beauty products. 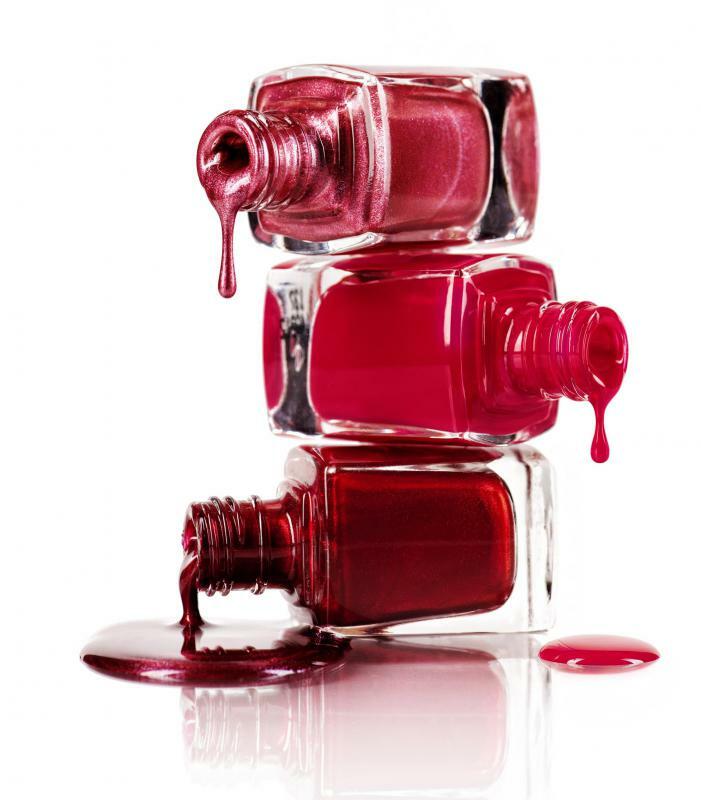 As everyone who has ever had a manicure or a pedicure knows, nail polish is prone to flaking and chipping, sometimes within a few days of painting the nail. A nail polish pen is an easy way to touch up and extend the life or your manicure or pedicure while you are at work or on the go. A nail polish pen is shaped very much like an actual pen, but slightly wider. It will generally have a twist-on cap so it can be stored safely in your purse without danger of spilling or leaking, and a small attached brush. In addition to touch-ups, you could technically paint all your nails with a nail polish pen -- though this is not the most economical solution. Nail polish pens have smaller brushes designed to easily and subtly cover chips or cracks in the nail polish. Nail polish pens are generally not available in as many colors as traditional bottled nail polish, but it is available in the most common shades or pink, red, creams and whites, among others. If you just need to touch up a small area, it may not be noticeable even if the shade is slightly different than the original nail polish color. Nail polish remover is also available in a nail polish pen. This might be convenient if you are traveling and need to remove pieces of an older, flaking nail polish before applying the correction. There are also special nail polish pens designed to touch up a french manicure or for acrylic nails. Other nail polish pens feature interchangeable colors and tips, so you can have multiple colors available to you with only one nail polish pen. Most drugstores and discount stores carry nail polish pens. They are generally more expensive than a bottle of nail polish due to the convenience factor, but most people who purchase nail polish pens are happy to be able to touch up a chipped nail while they are on the go, without having to worry about spilling a bottle of nail polish inside their purse or all over their clothes. A nail polish pen can also be used to draw pretty designs on top of already painted nails, which can add some visual interest to manicured nails. How Do I Make Homemade Nail Polish Remover? What Is a Nail Polish Brush? Typical nail polish colors are not for me. I prefer bright green, orange, and purple to red and pink. Generally, nail polish pens are not available in these shades. That's what I thought until I found some wild nail art pens. Each pen had a brilliant unconventional color in it, and I bought several. It's so much easier to draw detailed designs with an art pen than with the regular brushes that come in the bottles of polish. If I want to do something that requires fine lines, I use a nail pen. I once painted sand and the sea with regular gold and blue polish. Then, I used a white nail pen to draw in a tiny seagull and the froth from the waves breaking on the shore. I think that was the best design I have ever done, and the nail pen helped make it great. I like to do designs with my nail polish that often require several layers. If I do stripes of three colors, I will paint the lightest color over my entire nail first. Then, I will apply the next lightest shade, and finally, I will apply the darkest. If I use a cotton pad to do touch-ups, then it removes all three layers and leaves me with a low spot. This is why I use a nail polish remover pen. I have such control over the area that I can remove just the top layer of polish, which I quickly replace, and everything looks normal again. A nail polish pen sounds like just what I need. I work with my hands a lot, and the edges of my polish tend to chip off. I paint portraits for a living, and I also have problems with acrylic paint getting on my nails in spots. Once it dries, it's hard to remove. I think that I need both the polish pen and the polish remover pen. That way, I could easily remove the dried paint and do touch-ups quickly. Because I usually only get small areas messed up, it would make more sense to use a pen to fix them than to repaint the entire nail. @Sara007 – I bought some nail polish pens for my friend's daughters. They had just turned 13 and 10, and they both loved the pens. They are really into drawing and painting regular artwork, so the concept of being able to do this on their own fingernails was alluring to them. The pens I bought for them contained hot pink and purple polish. I also bought each girl a bottle of black polish to use as a foundation. The pink and purple stood out really well against the black background. The girls did their nails and sent me pictures of their art, along with a thank you note. @simrin-- The nail polish corrector pen is basically a pen with acetone in it and an easy to use applicator to remove small areas of polish. But different brands do work differently. For the brand I have, I need to slightly press down on the area of polish I want to remove for the liquid to come out. Then I use the applicator to remove the polish. Maybe that's what your corrector pen requires too. If it is not working well, it maybe also be the case that the acetone in it has dried out. When my corrector pen runs out, I keep using it by dipping it in acetone. It's a great way to extend the life of the pen! The manicure set I have has a nail polish corrector pen in it. I've tried using it once, but I don't know if I did it correctly. While I was waiting for my nail polish to dry, I touched something by accident and one of my fingers was ruined. So I tried to remove that area with the nail polish corrector. It did remove the polish a little bit, but not as well as I had expected. The tip of the pen was also ruined because it was smudged with red polish. Is this the correct way to use the nail polish corrector pen? I think I might be doing it wrong. It's a really good idea and I do need to carry something like this in my purse. But I need to learn how to use it correctly first. I have a set of six nail polish pens that I purchased at discount. These are called "nail art pens." They are not meant to be used to paint the entire nail, I agree that it would take too long to paint nails with a pen. But they are great for making free-hand nail art. the tip of regular markers are too thick and they are not suited for nails. I don't think they would remove easily with nail polish remover like nail polish pens do. I saw another set at the store which has some really unique colors like light yellow, orange and electric blue. I want to buy them next to make polka dots. I think it would look great! @Sara007 – I think that you are onto a really great gift idea for a teenage girl. To save money you can actually buy entire gift sets that come with everything needed to do a full manicure. I would recommend getting on that that comes in a traveling case so that if she goes to sleepovers she can take the kit along with her. I bought my daughter one for Christmas and she loves dragging it to her friend's houses. If you buy a quality kit from the get-go you won't have to worry about replacing things like the nail pens as often. I love OPI polish myself and find that the OPI nail polish pens last forever making them worth the investment. Do you think that buying a nail polish pen set would be a good present for a teen girl? My friend's daughter is turning thirteen this month and I know she is already really into beauty products because her mom has talked about her obsession quite a bit. She thinks it's rather cute. I noticed her daughter had nail art the other day and have been thinking about buying her the nail polish art pens and an electric nail polish dryer so she can have her own little nail studio in her bedroom. I would also probably pick up some nail decals and gems for her.